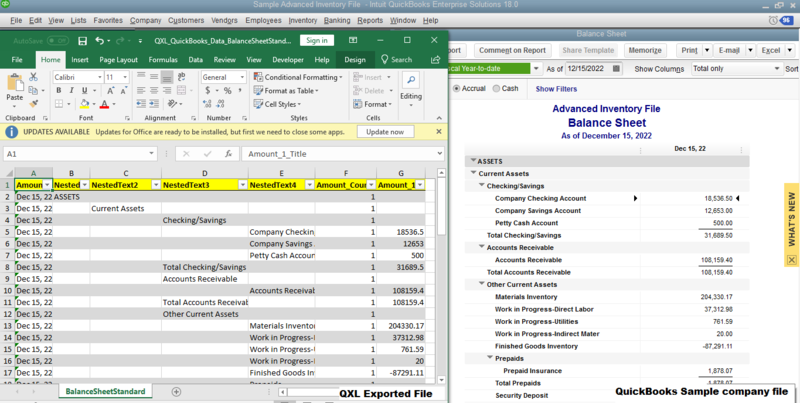 I am using QXL & I want to run the Balance sheet standard report through QXL. I can see the report on the list. But I want to change report parameter. 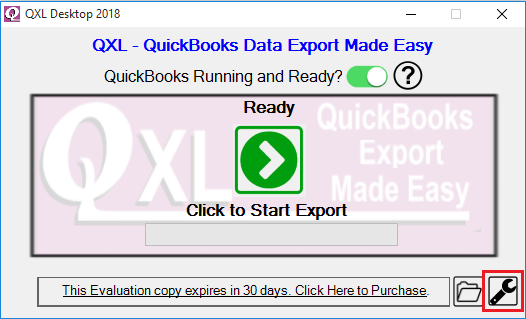 How can I add multiple levels similar to QuickBooks application (UI) report? 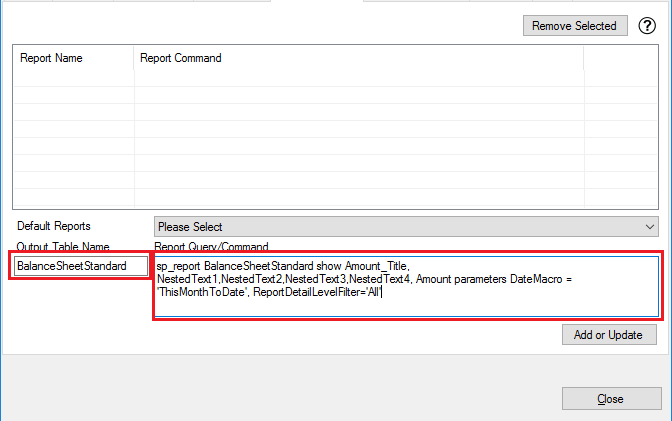 You can change report query & parameter from QXL Report Settings tab. You can modify the report query using Report Query/Command box. 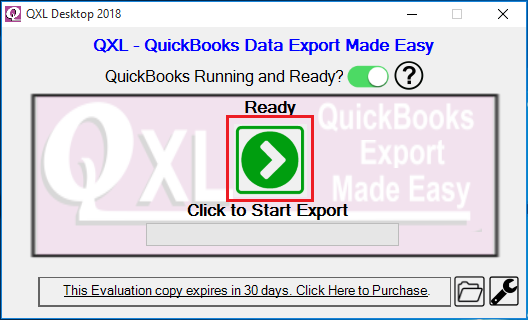 You can refer QXL Data Layouts site for details about different report parameters. You will be presented with all list of reports. Search for "BalanceSheetStandard" report & click on "Parameters" to get details about all supported parameters for BalanceSheetStandard report. 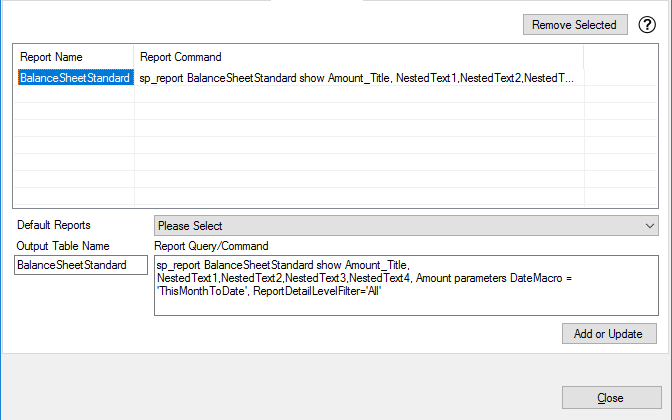 You can use any of the supported parameters in report query. The modified report query will be updated to the list.